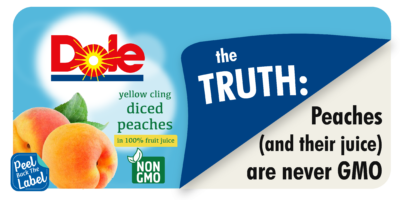 If Dole only sweetens its yellow cling peaches in 100% natural fruit juice, as they claim, and since there are no GMO peaches, why do they need to add the Non-GMO Project label? 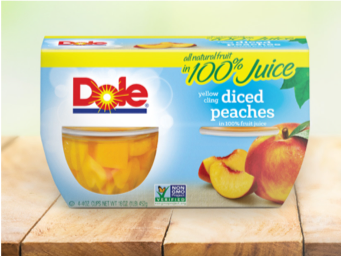 Like the company’s recipe, it’s simple: Dole has added the label to all of their products in order to make them seem healthier and safer than the competition. It’s commendable Dole isn’t adding unnecessary sugars or sweeteners to their product. But Dole is still hurting their shoppers by adding this unnecessary and deceptive label that preys on misperceptions related to our food. Tell Dole you’re fed up with this marketing scheme by posting on Facebook or Twitter, or writing to them today.